Located at 231 West Washington Row (originally called Park Row), the Independent Order of Odd Fellows Hall was constructed in 1889 and dedicated in March of 1890. It sits on property previously owned by Lucas Beecher, whose home still stands just to the east. The architect was John Feick and the builder was George Doezrbach. The architectural style is Victorian Italianate. The beautiful brick building cost $35,000 to erect. The IOOF symbol features a three link chain, which represents Friendship, Love and Truth. The initials can be clearly seen in the peaks at the top of the building. The most respected German citizens in Sandusky were members. Instituted in 1856, it was the oldest order of Odd Fellows in Sandusky. The official name was Ogontz Lodge, No. 66. During World Wars I and II, the lodge hall was shared by several fraternal organizations of the era. The building housed numerous first and second floor businesses, while the third floor had remained a lodge hall. A first floor tenant of the building from 1931 until 1982 was Gainsborough Photographers. During World War II, the studio sold $25 war bonds. 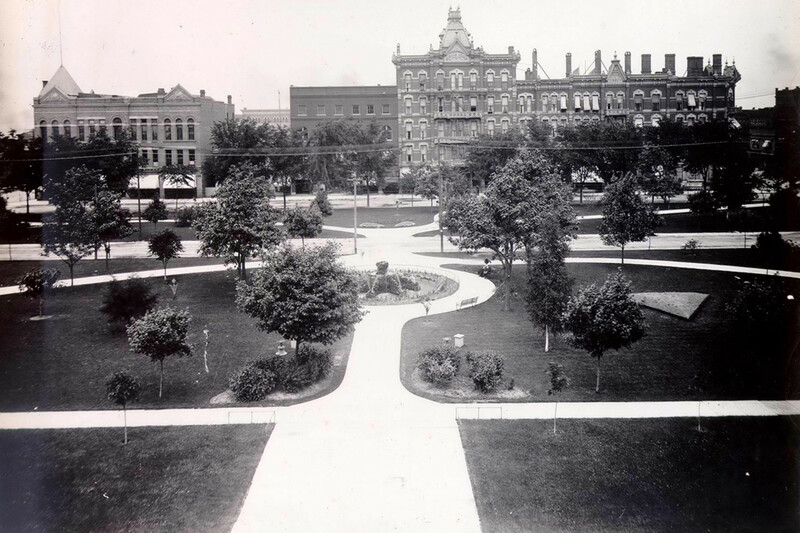 As incentive for every bond sold, the studio provided a free picture of a Washington Park (located across the street) display. The building at some point was painted white. In the early 1990’s, it underwent a major renovation when emphasis was placed on preserving the fine craftsmanship and level of detail associated with the original design. The building was placed on the National Registry of Historic Places in 2002. The first floor is currently is occupied by the Erie County Chamber of Commerce. There is other available rental space in the building.